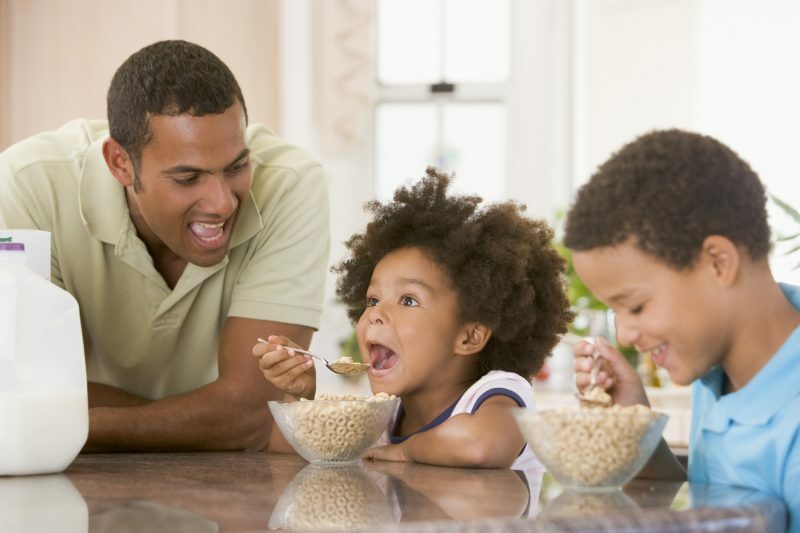 Danielle Dimengo, a dietitian in the Center for Diabetes and Endocrinology at Akron Children’s Hospital, explains that there are better choices than processed cereals for the first meal of the day. Q: You’re not a fan of breakfast cereals. Why? A: Bottom line: They lack substance. They are lacking in protein and fiber, and they are too high in sugar. Dry “breakfast” cereals are often loaded with sugar and/or high fructose corn syrup, and lacking in the key macronutrient protein, making it an unbalanced breakfast choice. I oftentimes refer to these sugarcoated cereals as “desserts.” Not all breakfast cereals are packed with sugar. Plain Cheerios are considered a whole-grain cereal and contain only 1 gram of sugar per serving. Q: Talk about what happens in the body when you eat cereal made of refined grains and added sugar. A: When someone consumes a sugary cereal such as Frosted Flakes or Lucky Charms, for example, especially in the absence of a fat or protein source such as cow’s milk, there is a rapid spike in blood sugar levels because these cereals are broken down by the body rather quickly in comparison to something more complex, like a bowl of oatmeal with peanut butter, for example. This spike in blood sugar causes a release of the hormone insulin from the pancreas to complete the job of removing the glucose from the blood into the cells to be used for energy. Sometimes this rapid digestion and absorption of food and rapid onset of insulin action on glucose can cause feelings of a “sugar crash” and premature hunger cues. Sugary cereals are typically also lacking in fiber, which when present can help with satiety. Q: So even though they’re fortified with vitamins and minerals, many cereals are not the best choice for breakfast? A: Yes, mainly due to the sugar content. They are not balanced. Q: What about whole-grain, low-sugar cereal? That’s a good breakfast, right? A: Yes, plain Cheerios, or old-fashioned plain rolled oats. Look at fiber content (grams of fiber). “Fiber-rich” is considered 3 grams or more per serving. Q: What are better alternatives and why? A: Something with substance that contains protein and a fiber-rich source. I love to tell my patients to combine protein and produce at the very least. Try to have at least 2 food groups present. Take advantage of the fresh, delicious and nutritious produce available at your local farmers’ market! Support your local farmers. 2 eggs + ¾ cup fresh blueberries. 1 cup oatmeal with 1 cup frozen berries melted in and cinnamon + 1 cup low-fat milk.